Safco 48-Pocket Solid Wood Rotating Display is a tough magazine rack with a stylish look and rotates a full 360 degrees. It features 48 pockets that are 9.5 inches in width and have scoop fronts that allow visibility of the contents. The rack rotates on a flat surface to provide easy access to the contents on any of its four sides. 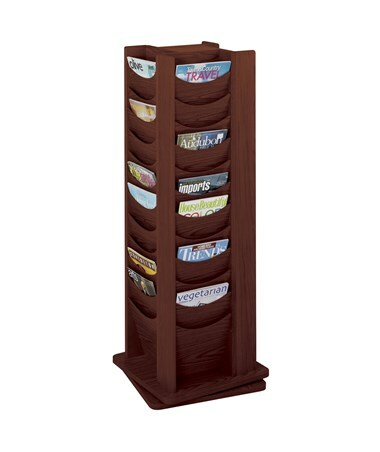 It is made of wood with hardboard dividers and a wood stain finish. 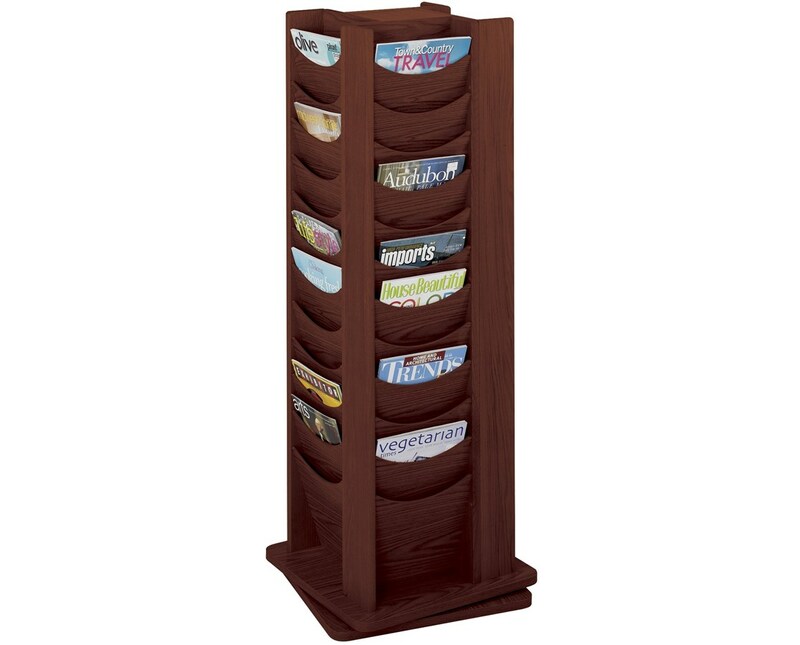 The Safco 48-Pocket Solid Wood Rotating Display offers two colors that suit your style. Please select your preference from the drop-down menu above.